Click the Email Settings link. 'Mailing lists' is a link at the top, next to the Mailbox and Aliases links. There is an option to include the list name in the subject of messages. This will add [listname] as a prefix to the subject line. This can help identify email that is relating to the list. 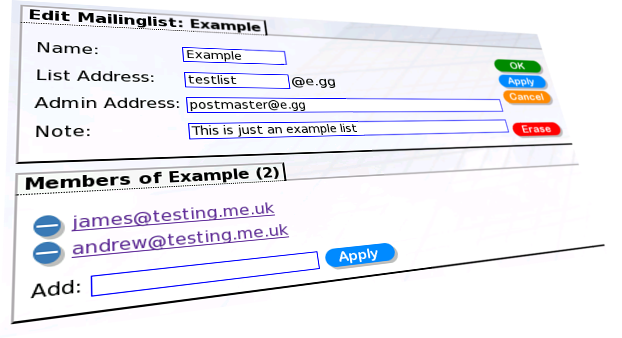 Mailing list form on Control Pages. This page was last modified on 13 December 2018, at 12:27.